Manage an estate? Foster a community with open Wi-Fi networks. Own a business? Make customers and clients happier with welcoming open WiFi in public areas. Run regular events? Engage your audience and keep them connecting and sharing with public Wi-Fi in your event space. Looking for Wi-Fi for a one-off event? Check out our event internet page. We believe in open networks that are easy to access. We don’t believe in making users fill out long and protracted forms in order to access WiFi networks. We believe in the power of giving. The minimum speed of any WiFi network we deliver is 20 Mbps. When going to the effort of building the network follow through on speed. It’s important a WiFi network live up to expectations and be accessible from where the community, your community expect it to be accessible. Technology ultimately exists to benefit humanity and enrich our lives. With any WiFi implementation it’s ultimately what you do with the connectivity and coverage that’s important, and what makes each WiFi location is it’s business, residential and visitor community. Telcom works with WiFi network operators to set standards in support for, fostering of and approach towards community curation through connectivity. Investment in state of the art WiFi infrastructure counts for little if not married with the right approach to connectivity, lots of it and SuperFast. It is important to not just set an arbitrary connectivity goal, connectivity ambitions should be derived from the community needs and in this respect we always seek to understand these needs before tailoring the connectivity solution to meet this objective. Upon understanding the specific needs of the community and location, met with an appropriate connectivity solution, it is then a matter of taking the successful formula and ensuring access across the physical footprint. With the increased network footprint comes the opportunity to increase the coverage. Coverage means consistency and so it’s imperative that with any implementation there be consistency of experience throughout. 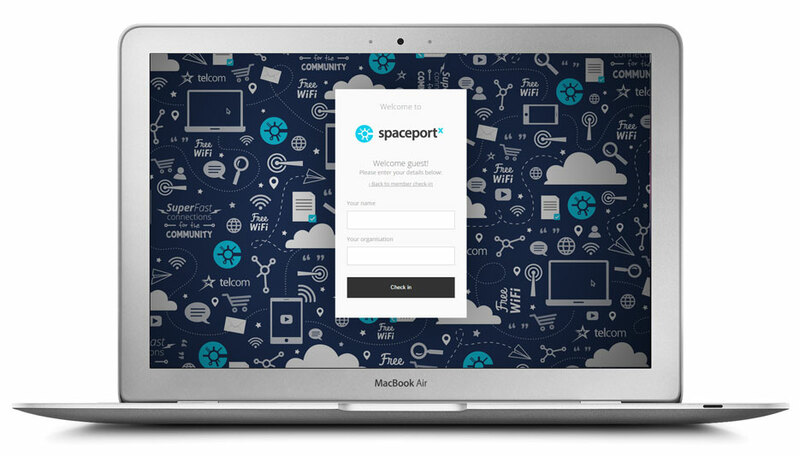 Welcome visitors to your WiFi Network with our bespoke login pages. Talk to one of our team today to find out how we can help bring public Wi-Fi to your space.